The metabolism of starch and sucrose fuels all aspects of plant growth and development. Over the last decade, significant advances have been made in our understanding of the metabolism of these compounds through the use of model systems, mainly Arabidopsis. Legume species are characterised by their capacity to form symbioses with Rhizobium, a nitrogen-fixing bacterium, leading to up to half the carbon assimilated in photosynthesis being sequestered to their roots. Study of a legume model may therefore increase our knowledge about carbohydrate turnover. 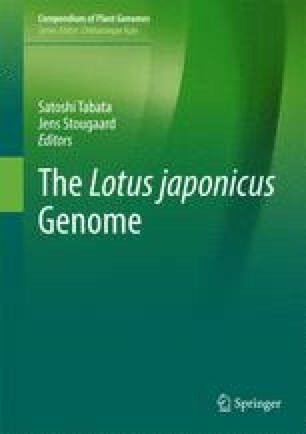 We review here the resources available and the contribution that research on Lotus japonicus has made to our knowledge of sucrose breakdown and starch metabolism in relation to plant growth and development processes, especially processes that are legume specific.